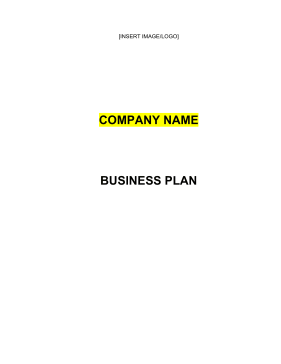 Charter school owners and others in the education sector can use this free, printable business plan to map out the direction, objectives and strategies of their companies. COMPANY NAME will provide private school services in quantitative courses, starting the first school in the CITY, STATE area. Focused primarily on students in grades K-6, classes are available in courses including: history, science, geography and mathematics in addition to multiple languages, religions and philosophy COMPANY NAME will focus primarily on Eastern Indian, Asian and European based language and philosophy to start. This method will be focused on to ensure that students can study their native language and learn native customs from where they or their families come from. Teaching sessions focus on helping students grasp the concepts they will need to know to perform well in their class, as well as developing study strategies to effectively prepare for exams in their class. A long-term focus of empowering students is favored over a short-term problem-solving strategy. High tuition, schools claim, is used to pay higher salaries for the best teachers and also used to provide enriched learning environments, including a low student to teacher ratio, small class sizes and services, such as libraries, science laboratories and computers. The intention is to create a student who is an international citizen who is academically capable, gain successful admission to Ivy League schools and to the best international universities; however while at the same time developing a confidence gained from knowing their family heritage, roots, history, culture, religion and languages. Each student will be having a sense of pride in being an American and also in being of Indian origin harmoniously. COMPANY NAME projects that 50% of students will be Asian Indian decent and 50% of students will be Americans seeking to get the best education available in the United States. COMPANY NAME is planning to become an International Baccalaureate World School. By receiving this support from a worldwide education organization, the school will be on the roster of offering courses transferable and also recognized around the world. While there are cultural and language classes that children of Indian origin can attend outside of the regular school curriculum, there is no comprehensive school, which offers an excellent education along with meeting their cultural needs anywhere in the USA. COMPANY NAME vision is to provide world-class education for its students at playschool, kindergarten, primary school levels. The aim of this educational institute is the quest for truth; blending the methods of learning of the East and West COMPANY NAME seeks to help bring to the United States the highest education possible to help children be able to compete with the world, as the American education standards and results continue to decline. • American students rank 25th in math and 21st in science compared to students in 30 industrialized countries. • America's top math students rank 25th out of 30 countries when compared with top students elsewhere in the world. • By the end of 8th grade, U.S. students are two years behind in the math being studied by peers in other countries. • Sixty eight percent of 8th graders can't read at their grade level, and most will never catch up. It will be a school for a diverse student body with a global faculty and an international curriculum. The Foundation believes its particular location in the USA will give the community of learners an incredible opportunity to examine change, explore the interconnectedness of issues and develop a global perspective. COMPANY NAME will offer an educational experience that is truly international and still Indian at heart. The Foundation will invite the Council of International Schools (CIS) and other prominent educationists to be its' consultants. Together with experienced consultants' input, COMPANY NAME shall attract an inspiring faculty and student body. 1. Generate five informal contracts/referrals with school professors from accredited private schools located in India. 2. Increase revenue steadily from 2011 to 2012. 3. Offer a premiere and unique educational hub where children can learn several languages, receive higher education and expand life's horizons from an early age. COMPANY NAME's vision is to provide world-class education for students at playschool, kindergarten, primary school levels. The aim of this educational institute is the quest for truth, blending the methods of learning of the East and West. It will be a school for a diverse student body, with a global faculty and an international curriculum COMPANY NAME believe that their particular location in the USA will give the community of learners an incredible opportunity to examine change, explore the interconnectedness of issues and develop a global perspective. COMPANY NAME exists to help students. The Company takes a unique and innovative approach to teaching that helps students connect with the subject matter they need to master in a vast variety of subjects, religions and arts. Through personalized and focused teaching processes, the students develop the tools they need for ongoing success in their fields of study, which include international languages as well. Success depends on direct attention to the needs of the Company's clients and truly helping them achieve- COMPANY NAME won't succeed unless their clients succeed.